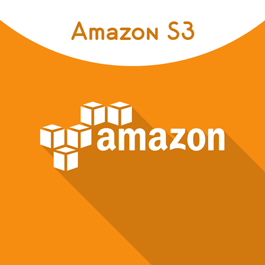 Amazon S3 is one of popular cloud-based services which allows website owners to store their images in the cloud, eliminating the traditional local file system. Cloud computing is instantly changing the way of storing and retrieving data. The benefit of using cloud platforms is not limited to its 24*7 availability of data, but also its scalability and durability that it offers. Using Amazon S3 service makes it possible to use cloud platform for storage of your website’s images to remote server, resulting into fast retrieval. Magento Amazon S3 Extension by MageComp binds Magento with Amazon S3 Servers to store your images by keeping your Magento server free. Using such third party servers, makes store owners free from the stress of maintaining it. Also, the extension works seamlessly with Magento stores, resulting in reducing loading time of the site. Why choose MageComp’s Magento Amazon S3 Extension? • Option to enable or disable this extension. • Magento admin can easily connect to Amazon S3 server to save files on cloud by entering the access key and server region. • You can easily set server time out if required. • Option to check the availability of bucket by entering the bucket name and Server region. In this digital era, where the payment gateway plays an important role in accepting payment from your store customer without these payment processors it will become tough to handle cash processing. 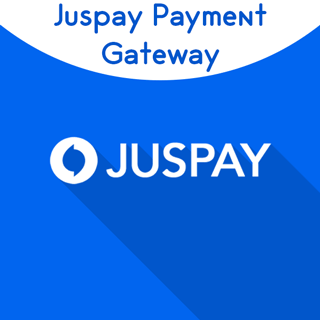 Nowadays, there are thousands of payment gateways are available, but when it comes to accepting payment in India there is no other better option than using the Juspay Payment Gateway. Because it is one of India's PCI DSS Level 1 compliant, safe and secure payment gateway that easily capture payments from store customers. MageComp has come up with Magento 2 Juspay Payment Gateway Extension that allows the store owner to securely capture payment from their customers. While checkout extension will redirect store customer to the Juspay Payment Processor Page where they can securely pay for their purchase. Magento 2 Restrict Fake Registration Extension by MageComp helps store admin to reduce fake customer registration by restricting Characters, Domains, IPs while Signup. 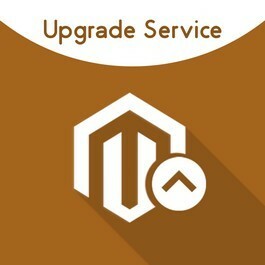 Magento Upgrade Service by MageComp helps you to upgrade your Magento 1.x or Magento 2.x stores to latest and secured Magento version with zero downtime and no data loss to boost store functionality. Magento 2 Custom Price Extension by MageComp allows store admin set minimum product price & let customer enter their product price to purchase store product. 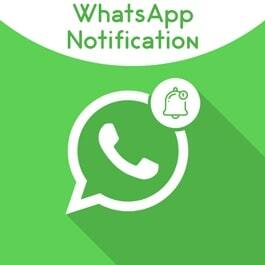 Magento 2 WhatsApp Order Notification Extension allows the store owner to send personalized Order Status Notification directly to customer's WhatsApp number. 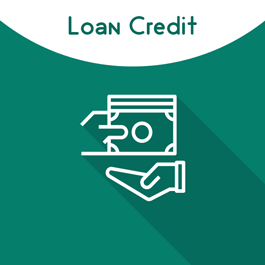 Magento 2 Loan Credit Extension by MageComp helps store owner give virtual credit to their store customers using which they can easily purchase any products without paying money. 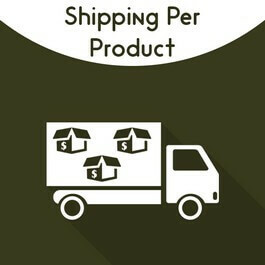 Shipping per Product Extension by MageComp let store owner set global & individual shipping rate per product according to their business needs. 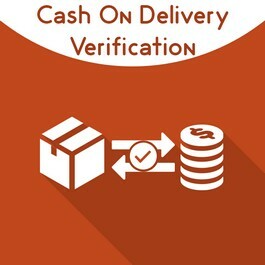 Magento 2 Cash on Delivery Verification extension by MageComp helps store owner to remove the fake or bogus order from their store by verifying the customer's mobile number while placing an order through Cash on delivery. Before buying an online product, customers are willing to know more and discuss but get in touch with customer care via email, support desk takes too much time. At that saving valuable time of customer by quickly get in touch via widely used messaging app WhatsApp drastically helps a lot. Magento 2 Order on WhatsApp Extension by MageComp helps store customer quickly order a product via WhatsApp and customer can discuss further if he or she is looking for more information regarding the product. Store admin can set their mobile number and push message from the backend, so whenever a customer clicks 'Order on WhatsApp' button from the store frontend they will get redirect to respective WhatsApp web or app. 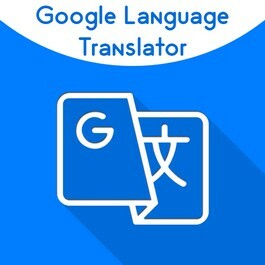 Magento 2 Google Language Translator let store owner integrate language translation tool with Magento and allows store customer to translate content into their native language. 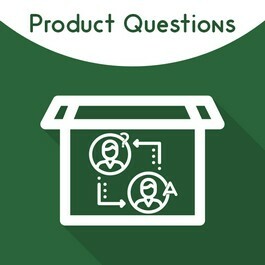 Magento Product Questions extension by MageComp let store customer post their product questions on the product page and get the answers for the same. 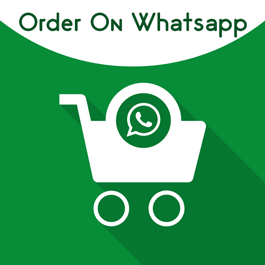 Magento Order on WhatsApp Extension by MageComp let store customer order a product on WhatsApp and resolve their per-purchase query quickly. Magento 2 Pending Customer Extension by MageComp allows store owner to manually approve all registered accounts from the store backend as per need. Due to price fluctuations, competition or some reasons, sometimes store owner can't assign the fixed price for a product. At that time hiding product price and only allowed login used to see price can drastically help store owner to solve this problem. 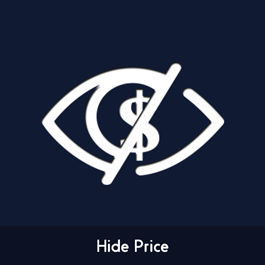 MageComp has come up with Magento Hide Price extension that allows store owners to hide product price with custom call to action that encourages store visitor to get registered to see the price. Also, store admin can redirect store visitor to a particular CMS page on click on 'add to cart' button. Moreover, Store admin can manage visibility of product prices for a specific customer group by making a selection. Sometimes after new installation order numbering start from scratch or you willing to set your own order sequence instead of default Magento 100000001 series, But there is no such option. 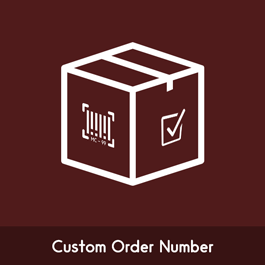 Magento Custom order number extension by MageComp allows the store owner to set custom sequences for 4 different sales order statuses like order number, invoice number, shipping number and credit memo that will automatically increment by default. The extension is designed to add prefix and postfix for order number to easily identify an order from a list of records. 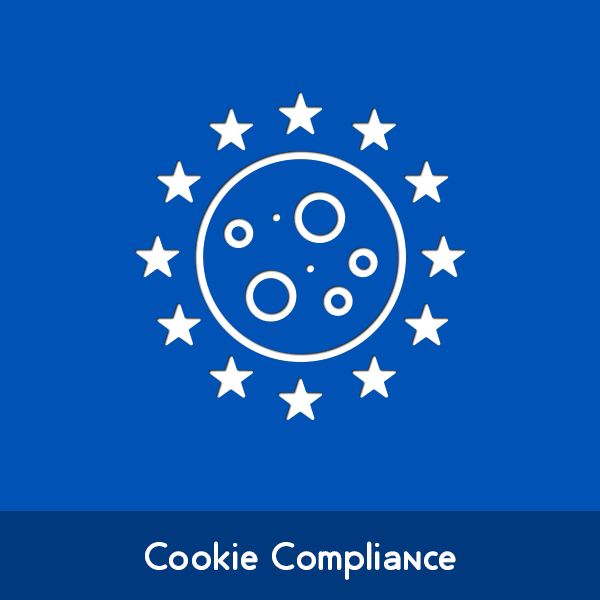 GDPR is already live now and people are in rush to comply their store with EU law. According to EU rules, now each and every individual have rights to know how business uses their personal data and can make request to remove their personal data. 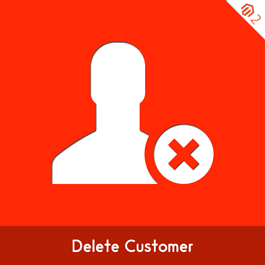 MageComp is back with Magento 2 Delete Account Extension that lets store customer removed their account and erase their personal information just by clicking delete account link from their account section. Using this extension, customers are free to leave store services at any time and removed their personal data quickly without requesting to store owner. This extension will only remove users personal information & account but the order, shipping, invoice information will still remain in store backend also the customer will automatically get unsubscribed from the newsletter. Adding extra product charges by making product pricy seriously results in bad impression and more cart abandons. Store owners sometimes have to charge product fee for customization, product insurance, extended warranty, gift wraps etc. Passing these charges directly to customers is the most trustworthy and effective way. 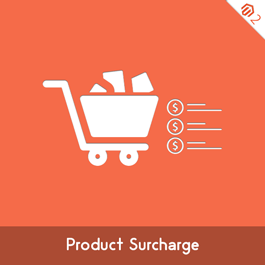 MageComp has come up with Magento 2 Product Surcharge that allows applying product surcharge on orders in a transparent way without increasing product prices. The extension facilitates to set up similar or different product surcharge on multiple products. •	Option to enable extension from backend. 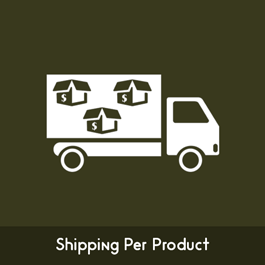 •	You can add up to 2 types of product surcharges from admin backend. •	Facility to show custom label for product surcharge. •	Admin can upload CSV file to apply various surcharge fees to multiple products. •	All the products surcharge will automatically add to order subtotal of checkout page, Order page, Email and PDF’s that are generated by Magento. •	Option to apply surcharge in fixed amount, percentage or combined as per your need. Are you willing to get ready for the perfect Valentine’s Sale? Is your Magento store ready with the eye catchy layout and romantic feel to grab visitors’ attention? As heart symbolizes love, what can be a better than hearts to give a nice falling effect layout in your store?! 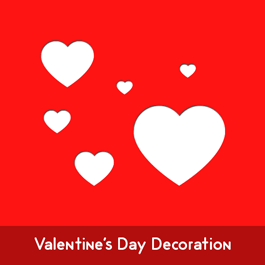 This Valentine’s Day, show some love for your web visitors and something they can treasure forever with Magento Valentine’s Day Decoration extension by MageComp. It throws heartflakes falling effect in your Magento store giving the perfect Valentine's Day website look. You can mix and match heartflakes and color it as you want. Why choose MageComp’s Magento Valentine’s Day Decoration Extension: •	Enable or disable extension from backend. •	Enter the numbers of heartflakes to give a falling effect on frontend. •	You can add single or multiple semicolon separated unicodes for heartflakes. •	Set colors for the added heartflakes. If the selected heartflakes come with its own color, the color effect may not be applied. But if the heartflake is blank or bordered, it will be shown with selected colors. •	Set the heartflakes fall speed as per your look optimization. •	Enter minimum and maximum heartflakes sizes in backend. •	Heartflakes fall effect in frontend gives an elegant look to make your store Valentine’s Day ready. Generally, E-commerce stores are always trying to increase store sales by reaching more and more new customers. Cash on delivery is considered as the biggest reason for the growth of E-commerce store for the customer who does not believe in online shopping or online payment methods. Sometimes, due to fake and bogus orders Store owner needs face a lot of problems as well as needs to manage operational costs. MageComp has come up with Magento Cash on delivery Extension that will help store owner to verify the customer’s mobile number and remove fake orders from their Magento store. Grab this extension now. 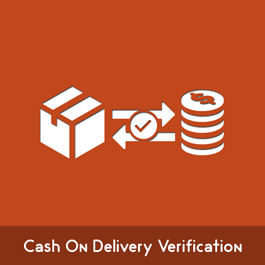 Why choose MageComp’s Magento Cash on delivery Verification Extension: •	Option to enable an extension from store backend. •	Admin can set custom OTP text as well as resend message text from store backend. •	The extension uses a MSG91 API to send OTP verification message. •	Extension also works for guest checkout method to verify mobile number. 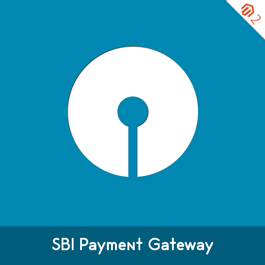 •	Customer needs to verify once when they select Cash on delivery payment method. •	Option to resend OTP is it’s not received at first time. The customer is always willing to know their product order status until he receives product on hands. At that time letting the customer to track product shipment helps store owners to increase trust as well as helpful to reduce customer inquiries related to product shipment. Magento Order Tracking extension by MageComp allows customers to track the product whereabouts at any time from their account section. Also, the extension allows store owner to choose the carrier and add a tracking number so customer can track the order. The extension provides various information about order status, dispatch as well as delivery in new window. Why choose MageComp’s Magento Order Tracking Extension: •	User can enable or disable extension from store backend. 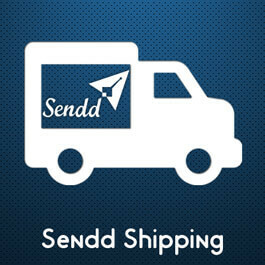 •	Supports different types of shipping carriers like DHL, Delhivery, Bluedart and USPS. •	No need to track an orders shipment from shipment carrier website. •	Customer can check order status at any time from their account section. •	Simply provides all information on new window. •	Extension helps to save time for both by easy availability of shipment tracking. •	You can setup Bluedart shipping just by adding license key and login id. Store owners are always in a hunt for delivering a great user experience using various store activities that will help to enhance store sales. Converting customer throughout small gamification of activities is become helpful to drive more sales using discount coupons. 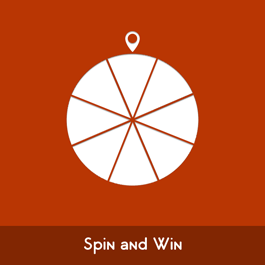 MageComp has come up with Magento Spin and Win Extension will help you to share store coupons using simply awesome Spin and win game. Compared to normal coupon usage, this extension will help you to boost coupon usage up to 10x by "win-win situation". Out of the box, you can change and style all the elements of extension as per your need. Why choose MageComp’s Magento Spin and Win Extension: •	User can enable or disable extension from store backend. •	You can set custom icon and text to encourage customers, according to your need from backend. •	Option to change font color as well as background color. •	Automatically creates a separate page along with banner to launch game. •	You can customize the popup with title, color, description, background image and button as per your need. •	Backend option to customize 8-wheel portion with text, color and coupon code. •	Option to send coupon code or rewards via email. 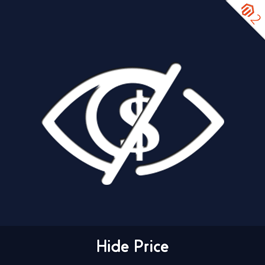 •	Offer icon will be visible to each and every page to encourage users. •	On click of icon, user will get redirected to separate game page where user can open and spin the wheel. •	Backend grid option to see user details filled by users. While making purchases customers have a lot of questions in their mind to ensure the product is perfectly fit their requirements. Generally, customers are willing to get instant answers to their questions. 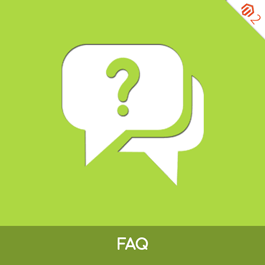 Magento 2 FAQ Extension by MageComp allows customers to find an instant answer to their questions from the list of frequently asked questions regarding the product. The extension helps to save tons of time for both store owner and customers and reduce repetitive inquiries from customers that turns customers into satisfied returning customers that directly reflects to store profits. Why choose MageComp’s Magento 2 FAQ extension: •	Store Backend option to enable or disable extension. •	There is no limit to add questions. •	Admin can use backend editor to create detailed question-answer. •	Editor option to add images, static blocks as well as widgets in Answers. •	Admin can use backend inline editor for FAQ’s. •	Store admin can group or apply filters within FAQ category. •	The extension uses an accordion style to save space of the webpage. •	User can collapse or expand answers according to their need. •	Backend option to upload custom category icon. •	Option to set visibility of question to specific customer group or store view. •	Admin can filter questions with various options like id, name and groups. •	Simple and clear interface that allows customers to easily navigate and find answers to their questions. Sometimes, we store owner need to pass payment provider charges to customer instead of adding charges to product price and making it costly to buy. 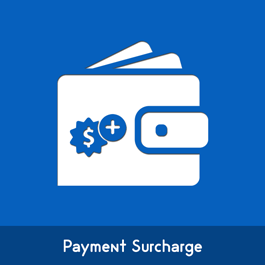 MageComp has come up with Magento Payment Surcharge extension that let store owners pass payment provider fee transparently to customer order subtotal. Out of the box, the extension allows the store owner to configure up to 5 different payment surcharges and encourage customers to pick a cost-effective payment method. Why choose Magecomp’s Magento Payment Surcharge extension: •	Backend Option to Enable Extension. •	Option to calculate the surcharge on subtotal, shipping, tax as well as by excluding discounts. •	Admin can even enable extension of the specific payment method. •	You can even set custom payment surcharge fee title. •	Store Backend option to enable payment surcharge on the specific customer group. •	Automatically payment surcharge will be displayed on all Magento generated invoices. Want to Draw the attention of your store users and customers with a catchy way to offer, discount, deals & announcements? 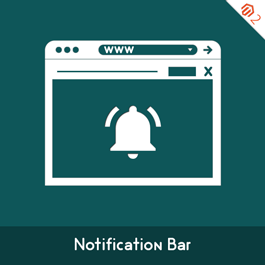 Magento Notification Bar extension by MageComp allows store owners to display notification bar on the website, in such way that encourages customers to buy products and helps store owners to bring more sales into their Magento store. You can even customize this extension as per your need with various customization options like color, position, size, text as well as the hyperlink. So, don't wait more buy it now. Why choose MageComp’s Magento Notification Bar extension: •	Option to enable an extension from store backend. •	Predefined goal to use the notification bar for various purposes like below. Countdown Timer •	Various Position layouts like top, bottom as well as both sides. •	Custom transition effects and various colors are available to choose. •	You can enable or disable extension for mobile from backend. •	Backend option for bar size, font size and setting up the hyperlink. •	You can create and set notification bar for various purposes and goals as per need. 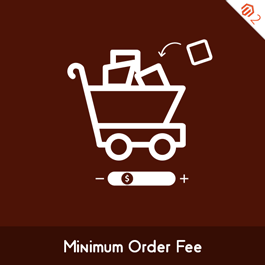 Why choose MageComp’s Magento 2 Minimum Order Fee: •	Option to enable extension from backend. •	Backend option to set minimum surcharge amount. •	The extension will automatically charge product fee when it is below set configuration. •	You can even apply surcharge on group products. •	Admin can set customized label instead of minimum order fee. 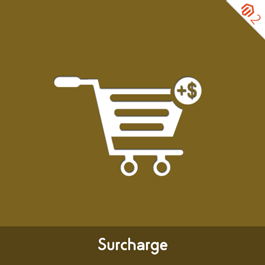 •	Surcharge will automatically display on all Magento generated invoices. As Indian government launched Goods & Services tax popularly known as GST – “One Nation One Tax”, whole Ecommerce and online stores are in a hunt to implement GST in stores. If you are thinking to integrate GST in your Magento store, you’re at the right place. 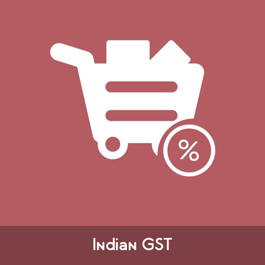 MageComp has come up with Magento Indian GST extension to integrate GST to auto create tax rules & calculate tax amount for store products and services. It allows adding GSTIN and shows everywhere with order details. Even it allows customers to add their GSTIN if applicable. The extension is developed aligning with Indian GST standards and norms. 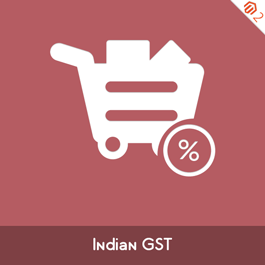 Why choose MageComp’s Magento Indian GST extension: •	Option to apply GST globally, category specific and product specific. •	Add GSTIN to show with order details. •	Set product prices either including tax or excluding tax for GST calculation. •	Option to set shipping origin to apply IGST. •	Customers also can add their GSTIN at checkout if applicable and it shows in each order documents. •	Order view, invoice, credit memo, shipment, new order Email and PDFs include GST shown in detail. •	Detailed bifurcation of GST showing SGST and CGST in order details separately. •	Extension auto calculates SGST, CGST, and IGST & adds to Magento order subtotal. Sometime you may require customers to ask for quotes along with their specific needs for the purchase. It has many reasons such as if they want to bulk purchase, get personalized products from you, need customization with original products and others alike. 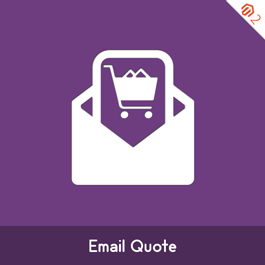 Magento Email Quote Pro extension by MageComp provides customers to send their shopping cart in Email to admin with all the selected attributes. Thus you get whole shopping cart of customers with various selections and get idea to decide pricing based on. Why choose MageComp’s Magento Email Quote Pro extension: •	You can enable the extension for the products such as costly products like machinery, personalized products like bed and furniture, precious jewelry and many more. •	Set form label for the form button in shopping cart page on which customers click to fill details and send their shopping cart in Email to admin. 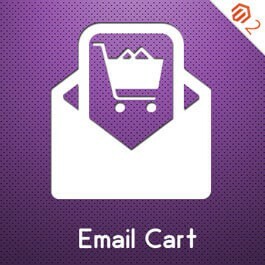 •	Set Email ID on which you want to receive customers shopping cart. •	Choose template for the Email from backend. •	Customers can even purchase product and checkout along with sending quote. •	You can create order from backend & send order Quote through Emails to customers. •	Even you can apply coupon code directly while creating quote from backend. 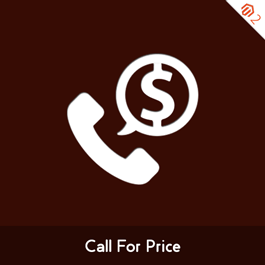 •	You can use custom price feature of default Magento while creating quote from backend. 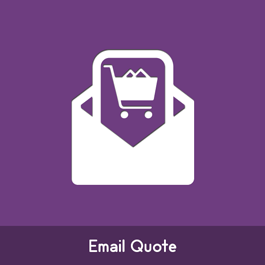 •	You can even edit quote from backend and send the quote again in Email to customers. •	Customers get Email with the products added to cart and can click to directly checkout. •	Option to Send blank carbon copy of customers cart on different Email IDs. Sometimes there is a situation when customer want product delivery on a specific day or occasion, it may be a birthday, anniversary or any special day for them. To make it more convenient for them, MageComp has come up with Magento Delivery Date extension that easily let your customers pick their convenient date and time for receiving product delivery. 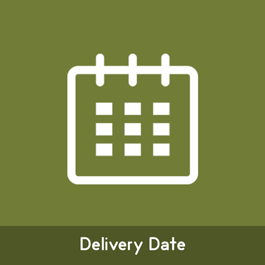 You can even set specific days of interval between order date and delivery date. So, what are you waiting for? turn your customers into returning customers. 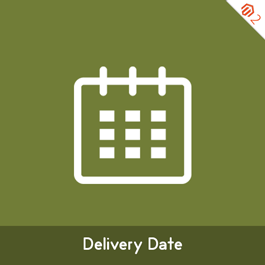 Why choose MageComp’s Magento Delivery Date: •	Option to Enable extension from backend. •	Admin can specify days of internal between order and delivery. •	Option to set holiday calendar. •	Customer can specify delivery date and time along with custom message if they need. •	Option to disable next day delivery. •	Support multistore environment without affecting core files. •	Admin can also disable delivery for specific group of customers. Sometimes it happens when a brief product descriptions and a dozen of images are not enough to better explain and understand features and functionality of a product. In such cases, admin needs to provide additional user guide, document, images, screenshots and presentation as well. Default Magento lacks the feature of allowing file upload from backend, at this time, all you need is Magento File Upload extension by MageComp. The extension allows admin to upload PPT, PDF, word, MP3, JPG, PNG and many more file types from backend for users to download from frontend. Option to show downloads counter on frontend for users to encourage clicking to download. Admin can set login option mandatory to allow downloads. Admin can create category for store views and categories files uploads. 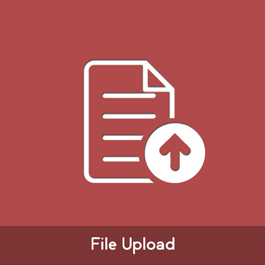 Admin can set download label and description related to the file on frontend to show users. Enable and allow file upload for product detail page or any CMS page. Set title, parent category, store view, customers groups for a file while creating a file upoad. Admin can limit downloads of a particular file from backend. Option to select numbers of CMS pages from the list of a particular uploaded file. An uploaded file can be assigned to multiple products selected from backend while creating file upload. While running offers and discounts, launching new products and services, store owners need to make some marketing efforts to make all of them stand out and get noticed. Magento Product Labels extension by MageComp allows you to highlight store products using various labels with slogans to attract customers. You can show different product labels based on product attributes. The extension helps customers to select preferred product quickly and thus increases your sale and profits. Why choose MageComp’s Magento Product Labels extension: •	There are many ways you can use Product Labels extension in your Magento, some of them are: o	Highlight offers, sales and discounts with “On sale”, “Save 15%” o	Launch of new products with “New”, “Just arrived” labels o	Showing trust factors like “100% original”, “no side effect”, “Eco Friendly”, “5* rated” o	Call to action to attract customers like “Save 25%”, “Buy now and save more”, “only 2 days left”, “Free delivery” o	Show brands of various products by showing logos as labels o	Emphasize key information of the product such as “Waterproof”, “Unbreakable”, “Recyclable” o	Clear stock items by showing “Few stock left”, “Stock Clearance”, “5 left”, “Limited period offer” •	Create conditions to trigger a rule and show labels based on rules. •	Specify store views for the application of rules. •	Apply multiple labels on the same product by applying multiple rules for it. •	Set priorities for labels and hide labels with lower priorities. •	Set date range to show labels for specific time period. •	Add or remove labels easily by specifying SKUs of products. •	Set label position from backend to show accordingly on frontend. •	You can even set different images and texts for both product and categories. •	Make use of predefined variables for the label texts. 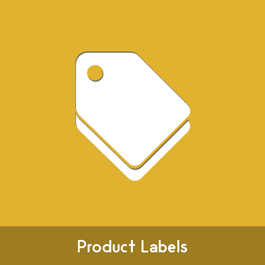 •	Easily manage all product labels through a grid in backend. Install Product Labels and give customers no chance to leave your store without making a purchase. Generally, Normal sign up form requires a lot of information from users which takes a lot of time and efforts to fill. To save time of customers and make it easier for them, MageComp has come up with Magento Social Login extension that let your customers quickly sign up using their social media accounts. Extension supports up to five different social medias like Facebook, Twitter, Google, LinkedIn, and Yahoo and it is really helpful to your customer to quickly signup and checkout products they want. 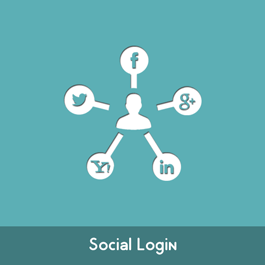 Why choose MageComp’s Magento Social Login: •	User can enable or disable extension from store backend. •	Supports up to 5 different social medias like Facebook, Twitter, Google, LinkedIn, and Yahoo. •	User account is automatically created. •	Admin can enable this extension for both sign up and sign in. •	Automatically fetches user data and store it into database. •	Admin can access customer data at any time from backend. 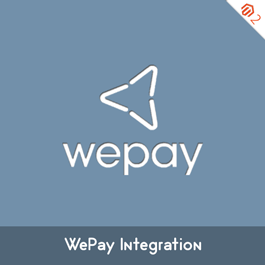 Why choose MageComp’s Magento Wepay Integration: •	Option to enable or disable extension from backend. •	Easy & Convenient Payment System that accepts all cards and bank accounts. Sometimes you need to add some extra charges on product which is independent of quantities, base price and any other relative changes applied on your product. In such case, default Magento lacks the functionality to fulfill your requirement as it only provides with two custom option types i.e Fixed and percentage. 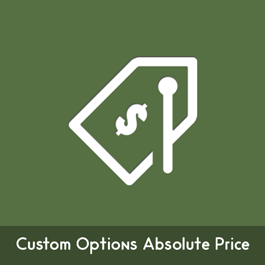 Custom Options Absolute Price by Magecomp allows you adding absolute custom option type on your product. This helps setting one time charges on products. Absolute price is directly added to checkout only once. Install the extension to charge store products with one time fees or additional charges. Delivering good customer experience is important just Selling products. The customer is always willing to buy a product from those who provide good product services along with flexible refund policy. 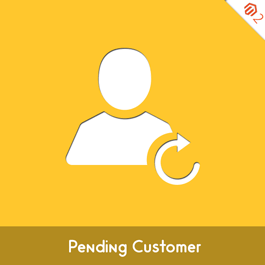 Allowing refund request from your customers is necessary to deliver better services and customer satisfaction. To make it easier for you, MageComp has come up with Magento Refund Request extension that lets your customers easily make a refund request from their account section for the product they have purchased. The extension also helps store owner to easily manage all refund requests from the backend. 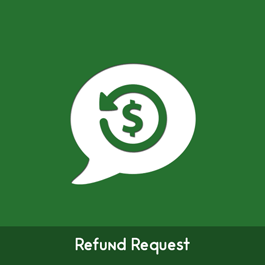 Why choose MageComp’s Magento Refund Request: •	User can enable or disable extension from store backend. •	Admin can set refund days from backend for refund request. •	Option to set email id to get notified when refund request is made. •	You can even customize email template as per your need. •	One click option to send refund request from account section. •	Easy Grid based request management system from backend. Do your customer ever complain about or abandon due to pricey products on your store? If yes, Partial Payment by Magecomp is really what you need. Partial Payment extension allows customers to make down payment, get product and pay remaining amount in one or multiple installments defined by admin. It provides customers the convenience of payment so they are encouraged to buy more at a time. Set to show Partial Payment label on frontend to highlight installment and easy payment facility to customers. Enable tooltip for customers to better understand the partial payment feature and use it for purchase. Select payment methods to allow payments for partial payment orders. Admin can restrict or allow guest checkout from backend. Admin can apply fees on partial payment orders. Admin can set first installment amount in percentage and also set number of installments for remaining payment. Option to set period unit and maximum period for installment payments. You can set labels for applied fees and remaining amount. Allows guest checkout with partial payment orders. 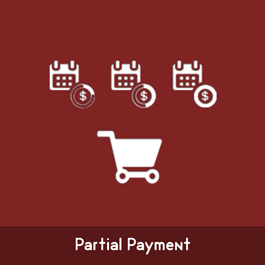 Customers can order normal and partial payment products together in a same cart. Customers pay down payment at the time of purchase and remaining amount in single or multiple installments later as set by admin. Customers can easily track partial payment status and pay installments from their “My Account” section. Admin can see and manage all the partial payment orders in a separate grid in backend. 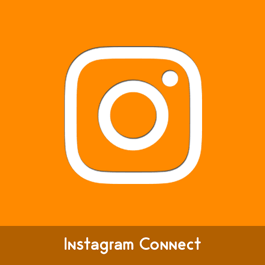 Why choose MageComp’s Magento Instagram Connect Pro extension: •	Displays Instagram images and Videos on home page and product page	•	Disable/enable module for different page type	•	Shows images/Videos in more view section and product details section of product page. •	Displays images/Videos even in product tab section of product page. •	You can Specify number of pictures & Videos to be displayed on home page, product page and Instagram page. •	Doesn’t require Instagram account authentication to use the extension. •	Use hashtags & users to fetch and display images and videos based on selected topic. •	You can add multiple Instagram users and hashtags to the list to fetch images/Videos from. •	Fetches number of images based on entered usernames or hashtags. •	Two different views of Instagram image popup in Instagram page: Title with link or Product Blocks. •	Displays navigation in image/videos popup to navigate through various Instagram images. •	Option for Auto plays Instagram videos in popup. •	Option to show Instagram images and videos in left and right sidebar. •	Able to display number of images to show in left and right sidebar. 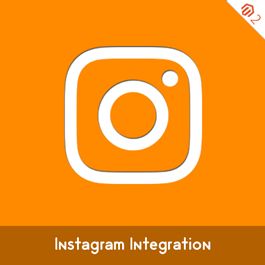 •	Option to add UTM tracking code, it can be added to product URLs to better analyze conversions through Instagram extension. •	Specify campaign name, medium and source to add UTM tracking URLs to products. •	One click to update image list based on set configuration. •	Option for approving images before use. •	Delete approved images and save them back to new images section. •	Add or edit image related information like title, link from Approved Images Manager. •	Set Link image titles to redirect visitors to a particular page. •	Drag & drop pins on images from backend to automatically set top and left positions and show hotspots on frontend. •	Set a unique product ID to each hotspot to redirect users to particular product & encourage them purchase. •	Users can filter Instagram images and videos on frontend based on usernames or hashtags. •	Option to show Instagram profile URL in popup on frontend. •	Post media resolution type selection options available	•	You can even set Caption, likes and comment can be shown along with Instagram images. •	Responsive lightbox popup on Instagram page to show images and videos. •	Displays hotspots on product image on hover of various titles or product blocks in popup. •	Contains Own widget to show Instagram images on any page. •	Set tag per product. Store owners sometimes need the requirement to offer discounts on bulk purchase. Magento Tier Price extension by MageComp extends default Magento capabilities of adding tier price and allows showing quantity along with the dynamic price in dropdown on product view page. This concept of showing dynamic pricing helps customers to select quantities set by you. Why choose MageComp’s Magento Tier Price extension: •	Option to set tier prices based on website or store view •	Set tier pricing based on customers group. •	Easily update tier prices in bulk. •	You can apply tier price to products regardless of selected options. 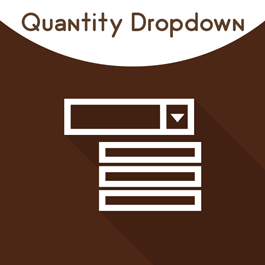 •	Showcase quantity based dynamic pricing in drop down on product page. 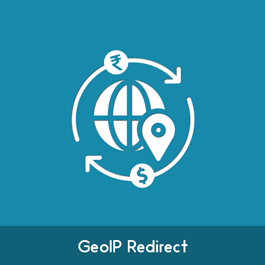 Nowadays, people are more tend to pay in their local currency instead of default standard store currency, that's why MageComp has come up with Magento GeoIP Redirect Extension that will automatically identifies user’s location using Maxmind database and redirect user to specific store view by switching their store currency. Why choose MageComp’s Magento GEOIP Redirect extension: •	Option to Enable or Disable extension from backend. •	Comes with an option to synchronizes Maxmind database to identity User’s IP & location. •	The extension will automatically redirect users to specific store view. 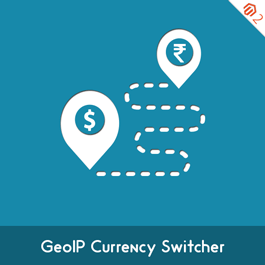 •	Identifies user location and automatically switches default store currency. MageComp has come up with Magento Sendd Shipping extension that uses Sendd shipping API to fetch available shipping methods based on customer Zip code. The extension allows store customers to pick best shipping method to proceed checkout from available shipping methods on their Geo location. Why choose MageComp’s Magento Sendd Shipping extension: •	Option to Enable extension from backend. •	Extension fetches available shipping method based on their zip code. •	Enable users to pick shipping type out of three. •	Allows country specific shipping methods. •	Customized message to display for unavailability of shipping method. •	Displays all order details in admin backend. •	There is an option to show sender logo, caption and footer text in order invoice. Sometimes, store owners looking for subscription or recurring method for the convenience of both customers as well as the seller. MageComp has come up with Magento Eway Recurring and Subscription Payment extension with Eway payment gateway integration. The extension enables store owners to set up subscription or recurring method and charge the customer on the basis of daily, weekly, fortnightly or monthly basis as per configuration. it also comes with the functionality of saving cards for future transactions with ability to manipulate information at any time as per need. Why choose MageComp’s Magento Tier Price extension: •	Option to enable extension. 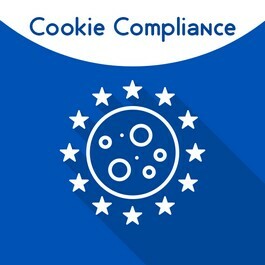 •	Supports Beagle anti-fraud management to prevent store from frauds. 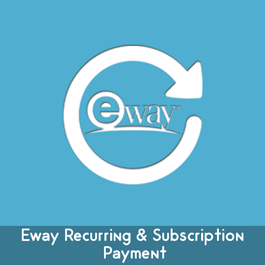 •	Admin can update Eway recurring period at any time from backend. •	Credit card details can be update from both admin as well as frontend. •	Extension is easy to setup and supports tracklog feature. 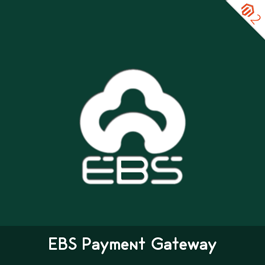 •	It will securely submit all information to Eway gateway. •	Provide functionality of creating and sending invoice via email. 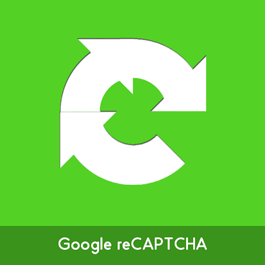 According to the latest research, Google says today's Artificial Intelligence robots can resolve old captcha with 99.8% accuracy that's the reason why Google released a new "No CAPTCHA reCAPTCHA" which reduce human efforts to protect the store from spam. 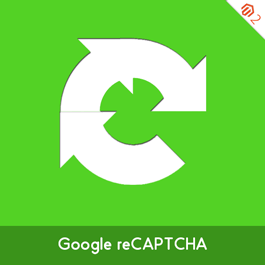 MageComp has come up with Magento Google ReCAPTCHA extension that facilitate store owners to use new Google ReCAPTCHA API to identify human and kick the spams. Why choose MageComp’s Magento Tier Price extension: •	Option to enable extension. •	Admin can set reCAPTCHA on various CMS pages like Contact page, Sign up page, forgot password, newsletter as well as product review. •	You can choose dark or light captcha as per your need. Do you want to provide secure payments to customers rather than collecting and storing their details on your store to get payments through own system? Magento HDFC Payment Gateway extension by MageComp allows you to redirect customers to a secure environment of HDFC payment gateway and proceed payment without the tension of insecurity of their credit card details or theft. This payment method helps you protect customers’ transactions from any kind of unwanted assaults and build trust. Why choose MageComp’s Magento HDFC Payment Gateway extension: •	Option to set test or live mode and enable debug. •	Set encryption type for the payment data. •	Option to set accepted currency for the payments. •	You can set status of new orders. 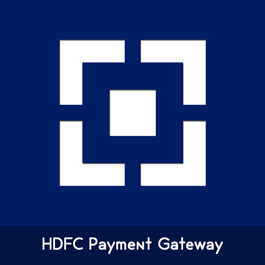 •	You can allow or restrict payments from specific countries with HDFC payment method. 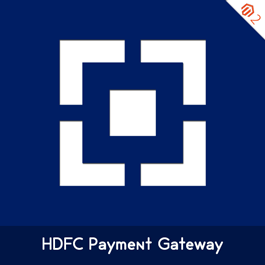 •	Provide a title to show HDFC payment method in frontend. 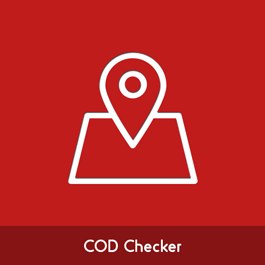 Magento COD checker extension will let your customers check the availability of product delivery to their zip code easily from product view page. The extension comes with functionality to show expected delivery time along with the city name, admin can even restrict cash on delivery payment method from the backend for particular zip code. All you need to do is just upload CSV file along with correct information. Why choose MageComp’s Magento COD Checker: •	Display Cash on delivery availability using Zip Codes. •	Option to restrict COD for particular zip codes. •	Option to show City name along with expected delivery time. •	Admin can upload CSV file along with information they are willing to show. •	Extension is easy to setup as well as 100% Open source module. Out of the box, Magento comes with a functionality of setting up minimum order quantity for a product except for group, configurable and bundle products but sometimes store owners looking to extend this feature remaining products. 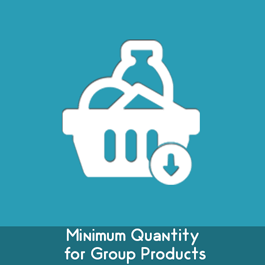 MageComp has come up with Magento Minimum Quantity for Group Products extension that allows store owners to set minimum order quantity along with custom validation error message for group products. Why choose MageComp’s Magento Minimum Quantity for Group Products extension: •	Option to Enable or Disable extension from backend. 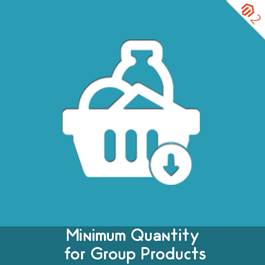 •	Choice to set minimum quantity for group products. •	Supports multistore environment •	Displays user friendly notification to add more quantity to make purchase. •	Comes with functionality of setting up different order quantity for each. •	Easy to setup and 100% open source. Nowadays, people are more tending to use smartphone to connect and receive updates easily. For business and e-commerce, Short messaging service(SMS) is a powerful way to connect with customers instead of email. MageComp has come up with Magento SMS Notification extension which helps store owners to easily notify their customers about their orders as well as store updates. Out of the box, Extension also compatible with SMScountry, MSG91 and other Gateways. Note : You can even come up with your preferred SMS provider and we will customize this extension to make it compatible for it. Why choose Magecomp’s Magento SMS Notification extension: •	Backend Option to Enable Extension. •	You can notify your customers for various about various events like registration, login or order status. •	You can also use this extension as OTP for security. •	It also contains backend option to set OTP length. •	Option to enable and set mobile verification. •	Option to set language and character length for SMS. •	Backend Test settings to check functionality. •	Also contains option to resend SMS OTP. •	Admin can get sign up counts in reports. •	Option to notify admin for various events like sign up, inquiry, order request or new order placement as per set configuration. •	Easy to setup and use extension. •	Compatibility with various SMS service providers like Bhashsms, msg91, bulksms, twillo and more. Generally, charging the customer for specific payment provider indirectly makes product costly to buy for customers. Instead of that, if you separately charge a customer for payment fees, they can choose their convenient payment option. Magento 2 Payment Fee extension by MageComp allows store owners to charge payment provider fees transparently by adding it to order subtotal. Not only this, but it also helps store owners to motivate their customers to select their convenience option to prevent surcharge fees. Why choose Magecomp’s Magento 2 Payment Fee extension: •	Backend Option to Enable Extension. •	It calculates payment fee based on subtotal, shipping, tax or exclude discount as per set configuration. •	Admin can also apply payment fees on specific methods. 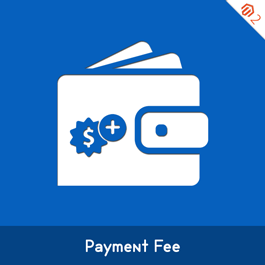 •	Backend option to set payment fee as fixed amount, percentage, combined or fixed minimum as per choice. •	Admin can also set custom payment title for better understanding. •	You can also set payment fees for specific customer group. •	Extension automatically calculates and display payment fee on checkout, order, email or pdf that generated by Magento. In this digital century, people are likely to share the product with their friends and family which they are using or having better user experience. Sharing products will help store owners to bring more traffic and conversions to their website. Nowadays there are lots of website and apps available that facilitate customers to share products easily with their loved ones but what if they want to share their whole cart? MageComp has come up with Magento 2 WhatsApp Share Cart extension that allows users to share their whole shopping cart on widely used social media messaging app WhatsApp. The extension also comes with the functionality of shortening Url using bitly API. Why choose MageComp’s Magento 2 WhatsApp Share Cart extension: •	Option to enable extension from backend. 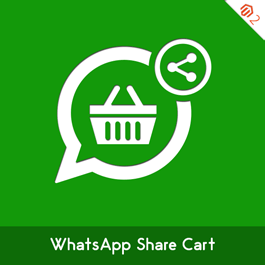 •	You can choose option to enable WhatsApp share cart functionality only on mobile devices. •	Backend option to customize share cart message. •	Choice to enable UTM tracking to identify traffic and conversions within stores. •	Bitly Integration to short cart Url. •	You can even share cart to multiple WhatsApp contacts together. Magento default provides numerous feature to set tier pricing on products. This helps setting discounts on products based on quantity. 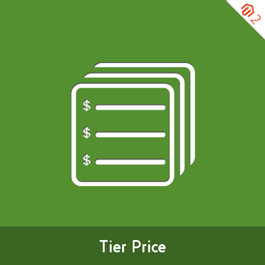 But to make customers aware about this pricing offer on frontend, MageComp has developed Magento 2 Tier Price extension to show tier pricing in label and tabular format. It helps customers easily select quantity of the product from tabular format and thus they can get idea of unit price of product. Extension also gives the facility to enable or disable any of the format and show marketing message to encourage people buy more. Features: •	Users can select predefined product quantity for purchase along with the tier price. 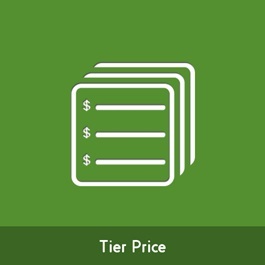 •	Show tier price in two formats: label and tabular •	Selection of preferable quantity along with tier price will automatically update quantity of products on product view page. •	Option to add marketing message along with tier price to encourage buyers buy more. Generally, people always look for a convenience to save their time, so providing alternative mobile login method instead of default Magento login is the best way to engage with users. Apart from it, if they are provided security of login, it makes them feel safe. 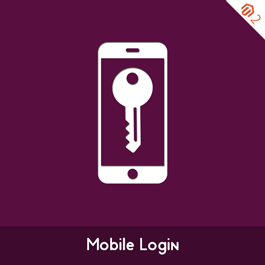 MageComp has come up with Magento 2 Mobile Login extension to allow customers login with mobile number and provides security of login through OTP. This is most useful when Sometimes users with multiple email-ID forgot with which they have signed up. 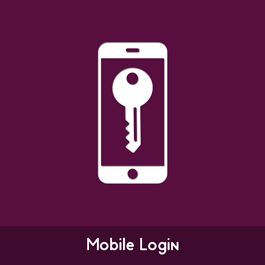 Why choose Magecomp’s Magneto 2 Mobile Login extension: •	The user can register and login with a mobile number by using secure One Time Password. •	Two Different login facility: Ajax Login and Login using OTP. •	You can use integrated SMS gateway to enable OTP registration and login facility. •	Option to set OTP string length and type. •	Custom message for registration, forgot password and OTP login message SMS to users. •	Admin can view the registered number of customer from a backend. •	Users can even add a mobile number to the checkout page. •	Customer will be notified with Email Notifications for each login attempt along with the details like browser, IP address and date and time. •	Customers can also change their registered mobile number from their “My Account” section. Default Magento store order statuses are really inadequate to understand for customers. As default Magneto doesn’t provide informative and understandable order statuses, need for creating such order statuses arise. Magento 2 Order Status extension by MageComp facilitated you to create numerous order statuses to turn them to understandable ones. It thus make order processing transparent by informing customers through Email notification immediately after every order status change. Why choose Magecomp’s Magento 2 Order Status extension: •	You can create and manage unlimited order statuses from backend. •	Bind order status with order states to make them understandable for customers. •	Notify customers through Email for every order status change. •	Choose separate template for every order status change notification sent to the customers. •	Details of order statuses are managed through a separated grid in backend named “Manage Order Statuses”. •	Option to filter orders by order statuses you have created and assigned. •	Customers can see assigned order status to orders in their “My Account” section. On site payment collection is now a days out dated procedure. People are aware about security and thus need secured payment to be captured by website owners. If you are still collection on site payments, you are losing trust of your customers. Magento 2 Wepay Integration allows you to collect secured and faster payments to provide security and build trust for customers. It accepts payments from all credit cards and bank accounts. 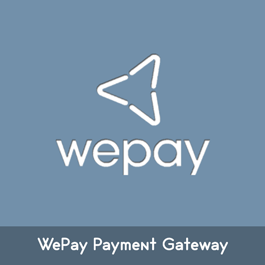 Why choose Magecomp’s Magento 2 Wepay Integration extension: •	You can collect secured and faster payments with Wepay payment gateway. •	Rather than collecting payment on site, it redirects customers to Wepay payment gateway and thus build trust for customers. •	Allows accepting all credit cards and bank payments. China supports Alipay as a primary tool for online payments. 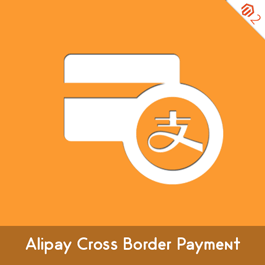 Magento 2 Alipay Cross Border Payment extension integrates Magento with Alipay payment gateway to collect secured payments from customers in 16 currencies and provides full support for CNY(RMB) price for checkout. Why choose Magecomp’s Magento 2 Alipay Cross Border Payment extension: •	Supports 16 currencies to collect payments through Alipay. •	Full support for CNY(RMB) price for checkout. •	Multi store and Multi currency support. Sometime you may require to check customers’ shopping cart with product options to better understand their requirements, buying patterns, choice of products and quantities they need to buy. Such requirement occurs for reasons like price negotiation for wholesale customers or knowing custom requirement for personalized products. Magento 2 Email Quote Pro extension by MageComp allows your customers to add products to cart with required custom options and product attributes like size, color etc. and send the cart to admin through Email. Why choose MageComp’s Magento 2 Email Quote Pro extension: •	Set custom text for button label for Email Quote in frontend. •	Set Email ID and template to receive shopping carts of customers into Emails. •	After adding products with selected attributes, customers can click button, fill the details and share cart with admin through Email. •	Immediately after customers submit details and share cart, admin gets Email with selected products and attributes as well. •	Customers receive thanks Email immediately after submitting quote from frontend. •	Option to Create order from backend and send order quote in Emails to customers. •	Apply coupon code directly while creating quote from backend. •	Use of custom price functionality of default Magento while creating quote from backend. •	Clicking Email Quote button from admin, customers get Email with the products already added to cart and they can directly checkout. •	Admin can edit Email Quotes and send them back to the customers from "Email Quote Statistics". Is default Magento 2 stock statuses lack providing enough information to your customers? If yes, you will definitely need stock statuses those clearly speak to customers to inform them in understandable manner. MageComp has come up with Magento 2 Custom Stock Status extension to showcase informative stock status along with custom message to make product page look more informative regarding inventory. With the extension, you can replace default “Out of Stock” status with expected availability date and time and custom message like “Coming Soon” etc. Immediately after products get back to stock, the message, date and status get changed automatically. 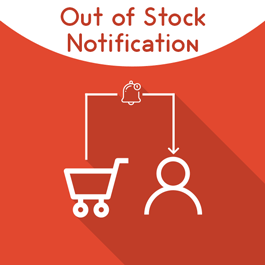 Why choose MageComp’s Magento 2 Custom Stock Status extension: •	Replace native custom stock status to display informative stock statuses along with custom message. •	Show expected stock availability date and time for out of stock products. •	Display pre order date for preorder products. •	You can hide expired expected dates. •	Along with product pages, show stock status on category page as well. •	Show shipping countdown based on order cut-off time. •	Exclude holidays and weekends from shipping date. •	Set threshold value and show messages like “limited stock” or “hurry up, only 3 available” when quantity gets below threshold value. •	Auto update the shipping and availability information based on selected settings from backend. When it comes to limiting purchase quantity, native Magento doesn’t provide option to set minimum quantity purchase restriction for group products. This is a most demanded feature when store owners are selling group products like furniture set, assembled computers in order to minimize production cost, bulk supply and many other reasons. To fulfill the requirement, Magecomp has come up with Magento 2 Minimum Quantity for Group Products extension to set minimum quantity for group products from Magento backend. Why choose Magecomp’s Magento 2 Minimum Quantity for Grouped Products extension: •	Option to set quantity from backend to limit purchase for individual product. •	If customers checkout with lesser quantity than set, they are validated to go ahead and purchase. •	Set different minimum quantity for each product from backend. To enhance the functionality of native Magento, we have developed Magento 2 Custom Options Absolute Price extension to add absolute price and one off charges to product prices. Rather than adding the prices to base price, absolute price is added to override base price of products. 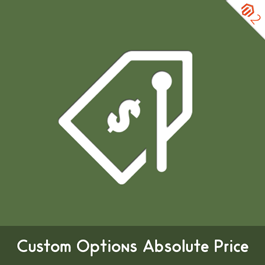 Why choose MageComp’s Magento 2 Custom Options Absolute Price extension: •	Absolute pricing is used in adding multiple types of charges and some of them are: o	To charge single day delivery o	To apply Extend warranty charges o	Charge for gift wrapping o	To apply tooling, printing charges •	Support for all default Magento product types. •	The effect of absolute pricing reflects directly on checkout. •	Displays Absolute price at checkout page. Enforce a minimum order value by applying minimum amount surcharge. Charge small order fee on purchase of products having lesser than specified order amount. Apply group surcharge to selected customer groups. Charge country and region fees based on various countries and regions around the world. Apply surcharge in fixed amount or in percentage. Custom label to show each surcharge in frontend. Apply group filter on all surcharge types if required. Surcharge details are auto added to the Magento checkout, Print Order page, Order View page, customer sales emails and pdfs generated by Magento. You can Choose the tax class which applies to surcharges. The usage of most popular messaging app WhatsApp is increasing day by day till date so we thought to make most out of it for your Magento stores and get more social visibility for products. MageComp has developed Magento 2 WhatsApp Share extension to provide WhatsApp sharing button on product pages and encourage customers sharing product details in WhatsApp. This benefit ultimately leads to better traffic and more social sharing. Rather than just product name & URL, it allows sharing product price, special price, description and coupon code as well. 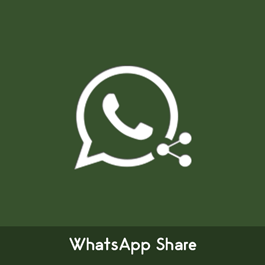 Showcasing WhatsApp Share button in category and product pages encourage customers to share their favorite products to their friends and relatives. Why choose MageComp’s Magento 2 WhatsApp Share extension: •	Allows users to share product URL, name, description, price, special price and coupon code in whatsApp. •	Enable product sharing facility specifically on categories. •	Set custom labels for product name, description, price, special price and discount. •	Set character limit for product description from backend. •	Set one of the 3 sizes available for WhatsApp Share button: small, medium, large. •	Option to add custom message to send along with product details in WhatsApp. •	Encourage users to make purchase by sending coupon code with product details in WhatsApp. 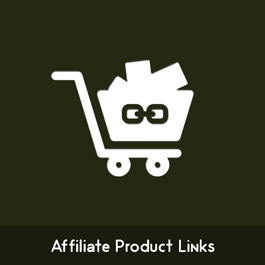 •	Share shorter product URLs with use of Bitly(https://bitly.com/). •	Analysis visits through WhatsApp Sharing by enabling UTM tracking code for product links. 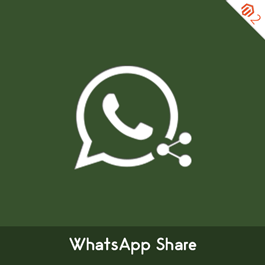 •	All WhatsApp enabled devices are supported for WhatsApp Sharing. 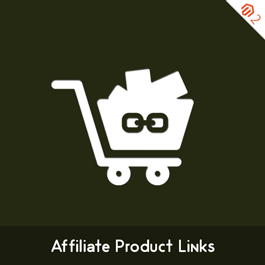 •	Alert message is displayed for users who try to share product details through desktop. A single beep in the smart phones is enough to grab the attention of people at any time anywhere. This benefit of SMS has taken crucial place in Ecommerce as well. Store owners are digging deeper to make each service mobile friendly to provide better user experience. MageComp has come up with Magento 2 SMS Notification extension to notify customers for each order activity after their order placement to product delivery. This makes it so easy to reach customers in a personalized way and acknowledge them through SMS. Simply choose a preferable SMS gateway, get it integrated with our extension, install extension in you Magento and start notifying customers 24*7. 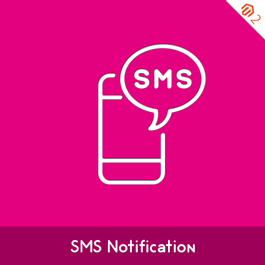 Why choose Magecomp’s Magento 2 SMS Notification extension: •	Using this extension you can notify your customers using text messages or sms on various Magento store events such as: o	Website registration o	Order placement o	Order status update o	Order cancellation o	Order Shipment o	Return order request o	You can ask for more… •	Using variable fields,you can easily prepare text notification messages for all events. •	Even you can Specify character length of message and language for SMS. •	One Time Password(OTP) facility for registration. •	You can even set mobile verification mandatory for customers. •	Set OTP length from backend. 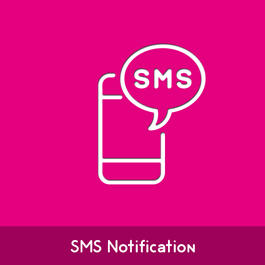 •	Integrated our SMS Notification extension with following gateways, Ask Us for your preferred SMS gateway integration and seamlessly send SMS notifications to your customers. •	Notification to admin on various activities like: o	Contact form submission for inquiry o	Website registration o	New order placement o	Return request for orders o	Order shipment o	You can ask for more! Buying decisions don’t happen at the first visit, visitors come to the store, checkout products, compare, add products to cart and stop. Most of the times they don’t buy due to many reasons like insufficient budget, product unavailability, unsure needs and others. After some time, they made up their mind and come back for purchase, they need to start the process from scratch. Remember product name, search for, add products with desired quantity and so on. This repetitive tasks may be boring for them and thus can lead to abandon. Magento 2 Save Cart extension by MageComp allows customers to save their shopping cart for the next purchase or to duplicate previous orders. This whole process saves time and provides direct purchase and thus improves their shopping experience. Why choose MageComp’s Magento 2 Save Cart extension: •	Customers can add products to their cart & click “Save My Cart” button to save it for later purchase. •	Customers can also provide a unique name to cart. •	Customers can see all the saved cart under the “My Account” section. 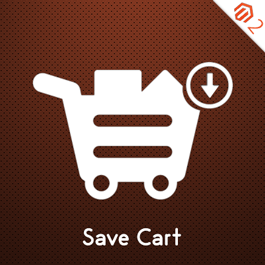 •	For the next purchase, customers can simply modify or directly add selected product carts. •	If the quantity of products while updating cart exceed inventory, it shows error message. •	Option for Customers to edit and delete saved carts from their "My Account" section. •	Customers can multi select carts and restore them directly from "My Account" section. •	Extension is compatible with only simple products, it will not show up "Save My Cart" button if other products than simple is added to cart. Sending and Receiving online payments is compulsory which is very helpful to both the side store owners as well as customers. 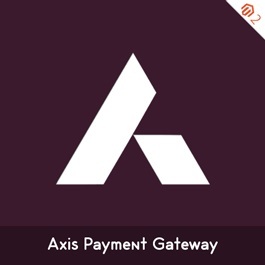 To make this transaction more secure and risk-free MageComp has come up with Magento 2 Axis Payment Gateway Extension that captures secure and risk free payment from all cards. Why choose Magecomp’s Magento 2 Axis Payment Gateway extension: •	Option to enable or disable extension form backend. •	Securely captures payment using encrypted data. Proper refund management leads to a better user experience and thus customer retention. It doesn’t directly affect store profit but if not properly manage, can lead to a bad impression and can also reduce your sales. Accepting refund requests with positive attitude and provide it an equal importance is what each store owner required. According to a survey, people are more likely to buy if the refund process is flexible and easy. 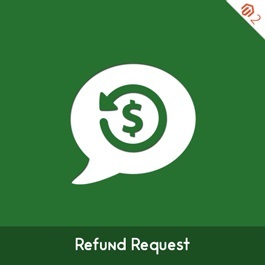 MageComp has come up with Magento 2 Refund Request extension to provide customers with an easy way to request for refund rather contacting the support team. They can simply click a “Refund Request” button to request returns right from their “My Account” section. Why choose MageComp’s Magento 2 Refund Request extension: •	Single click from “My Account” section to request for refund. •	On refund request by customers, they are asked to fill a form with reason for refund and other product related details. •	Set days to limit refund requests based on order date. After the specified days, button will get disappeared. •	Customers’ requests are auto saved in a separate grid with details customer, order and refunds. 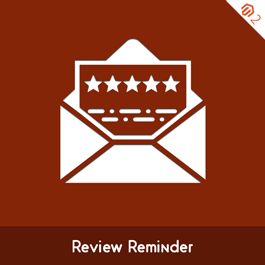 •	Apart from the backend grid, admin can set Email ID to get refund requests in Email as well. People are easily encouraged to purchase if they are shown trendy & bestselling products, trust factors or proof of others’ purchases. Sending it manually may cause waste of time for admin and annoying experience for customers. 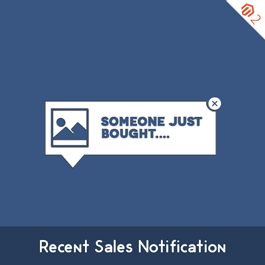 Magento 2 Recent Sales Notification by MageComp allows showing recently sold products in a notification popup. Immediately after a product gets sold from your store, online visitors get the popup with details like customer name, location of purchase, product name and image with link on it. The popup gets hidden automatically on regular interval on set time by admin. The extension helps improving trust factor by showing unlimited real time notification and thus drives more conversions to your Magento stores. Why choose MageComp’s Magento 2 Recent Sales Notification extension: •	Set time in seconds to display informative sales notification to online website visitors on regular intervals. •	Specify custom notification popup text by using variables to display informative sales notification in frontend. •	Choose notification popup positions as per your website layout. •	Set number of recent orders to fetch and display them in notification popup in frontend. •	Display notification popup on regular intervals without interrupting visitors’ browsing experience. •	The popup notification in frontend contains details like customer name, product image, product name and location. •	When customers click on product image in notification popup, they are redirected to respective product page and thus encourage them to know more about product and buy. Many times, default Magento shipping options are not enough to fulfill customers’ orders. They often ask more convenient options to choose from. Magento 2 Matrix Rates by MageComp provides you full control to create custom shipping options based on product quantity, weight, price and destination. You can also define shipping rates through uploading CSV and the shipping rate calculator promptly calculates rates and show on frontend for customers to choose one from. 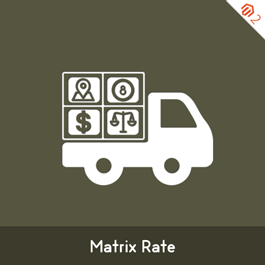 Why choose MageComp’s Magento 2 Matrix Rates extension: •	Customize shipping rates based on cart weight, subtotal, quantity and destination. 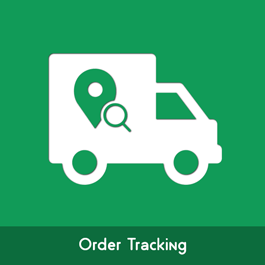 •	Show location based various delivery methods. •	Option to enter zip codes in a specific pattern to auto determine and calculate shipping charges. •	Supports numeric ranges or wild card characters for zip codes. •	Upload a CSV to define shipping rates. •	Extension facilitates to charge shipping costs to downloadable and virtual products apart from other default Magento product types. •	Handling fee can be added in two ways either in percentage or fixed. 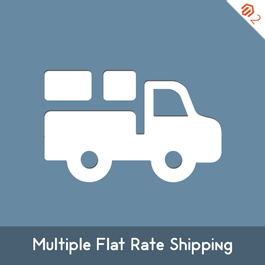 •	Due to support for multi store, you can define different shipping rates to various store views. •	Option to specify minimum order amount for free shipping. •	Add and show additional comments for each shipping methods. •	Both Multilingual and multistore supported. Are you having a large customer base which is really complex and time consuming to manage? Are you setting up all customers to a single group and switch them to others manually? If yes, you are badly in need of automation to manage your customer groups. MageComp has come up with Magento Auto Customer Group Switching extension to automatically switch customers based on their shopping behavior. Extension facilitates to switch customers based on order total, number of orders placed, account age, products and categories of the store. Immediately after a customer logs in, cron is run to check the conditions and fit customer to best fit customer group based on set conditions. 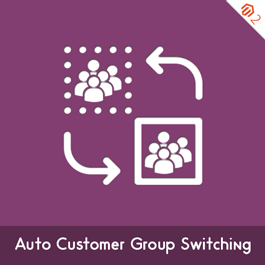 Why choose MageComp’s Magento 2 Auto Customer Group Switching extension: •	Automatically placed customers to specific groups based on set configuration. •	Automatically assign customer groups based on: o	Sales o	Customer account age o	Products o	Categories •	Sales based customer group switching. •	Admin can Set account age in days to switch customers to specific group. •	Option to add comma separated product IDs and category IDs to move customers based on products and categories. •	Automatically sends Email notification to admin for each time customers are switched to a new group. •	Everytime when customer logs in, cron is run to check set conditions and moves the customers to groups based on it. 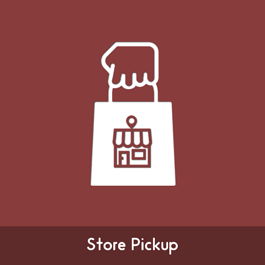 Provide more flexibility to your customers by providing Store pickup facility as their convenience shipping option. MageComp has Come up with Magento Store Pickup extension that provides best shipping options for Local customers, Once the product is ready to deliver they can pick the product from their preferred store/shop at convenience. Why choose MageComp’s Magento Store Pickup extension: •	Option to Enable or Disable extension from backend. •	Admin can choose country for proving store pickup as shipping method. •	Option to set Up to 15 different stores for easy pickup. •	Customers can select their nearby store pickup for easy pickup shipping. Collecting online payments is becoming necessary day by day, provide more options to your customers by allowing them to pay via their credit cards, debit cards, international cards for the purchase they have made. MageComp has come up with Magento 2 ICICI Payment Gateway which securely captures payment by encrypting customer data. Grab this extension and provide more flexibility to your customers. Why choose Magecomp’s Magento 2 ICICI Payment Gateway extension: •	Option to enable or disable extension form backend. 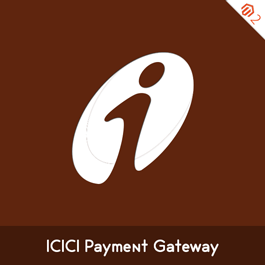 •	Securely captures online payments from all ICICI cards. •	Easy to setup and use module. Provide more flexibility to your customers by allowing them to pay safely via union bank cards using Magento 2 UBI Payment Gateway extension by MageComp. it encrypts customers data with layers of security to capture payment from all Union credit, debit as well as international cards. So, what are waiting for? integrate Magento UBI payment extension now. Why choose Magecomp’s Magento 2 UBI Payment Gateway extension: •	Option to enable or disable extension form backend. 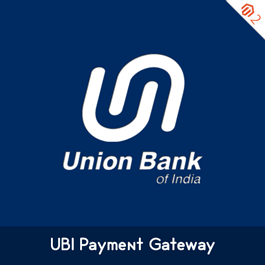 •	Capture Quicker and Secure payment from all union bank cards. •	Easy to use and support multi store environment. Generally, people have a question regarding the product before the purchase or they are looking for support related to the product after purchase. At that time, they are always willing to have an immediate response from store owners. In this digital century, people are more tend to use smartphones to connect with the world and WhatsApp is one of the widely used social media messaging apps. To take advantage of this opportunity and easily connect with customers, MageComp has come up with Magento 2 WhatsApp Contact extension that easily lets your customers connect with you. It also comes with the functionality to customize contact button as per need. Why choose MageComp’s Magento 2 WhatsApp Contact extension: •	Option to enable or disable extension. •	Choice to display WhatsApp contact button only for mobile. •	Option to change default animations, color and size. •	Choice to place WhatsApp Contact button as per need. •	Admin can change default push text and number from backend. Nowadays, WhatsApp stood first when it comes to content sharing with friends and family. So, it is an opportunity for business to get more traffic and grow existing revenue by allowing customers to share the product. MageComp has come up with Magento WhatsApp Share extension that allows your customers to easily share the product along with product details and price. The Extension will display WhatsApp share button on the product page as well as category page to encourage customers to share a product they loved. Why choose MageComp’s Magento Tier Price extension: •	Extension let customer share various product details like name, description, price and URL. •	Compatible with both WhatsApp and web. •	Option to enable WhatsApp button on category as well as product page. •	You can even set WhatsApp share button for all categories. •	Admin can set custom label for name, description, price and discount. •	Choice to define text length for product description. 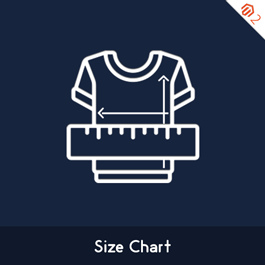 •	Backend option to set different button size like small, medium and large. •	Admin can set custom message to share along with product details. •	You can even enable option of sending coupon code along with product details. •	You can use bitly API for shortening URL. •	Admin can set UTM tracking code to analyze traffic gathered by sharing. •	Supports almost all mobile devices. Sharing is Caring and that's the reason why one happy customer brings another one. in this digital era, nowadays people are getting more intended to use smartphones day by day. More than 1 billion people over 180 countries are using WhatsApp. so, it is great opportunity to let your customers share a product they loved with their friends and family. 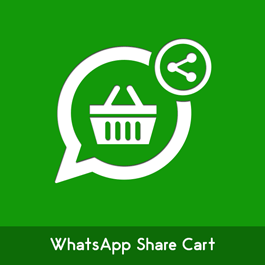 Magento Whatsapp Share Cart extension by Magecomp allows your customers to share whole product cart easily with their loved ones. it also supports Bitly API for shortening a link and UTM tracking to analyze the traffic comes through WhatsApp Share Cart. Why choose MageComp’s Magento WhatsApp Share Cart: •	You can enable/disable extension from store backend. •	Choice to display WhatsApp cart button only in mobile devices. •	You can set custom cart sharing message from backend. •	Option to Set UTM tracking code in backend for traffic analysis. •	Bitly Integration for shortening cart URL. 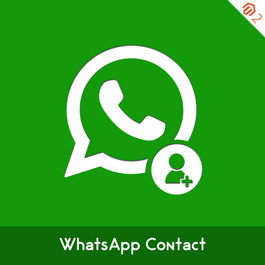 •	Ability to share cart to multiple WhatsApp contacts at same time. In this 21st Century, people are getting more digitized day by day and started using smartphones. So, instead of using old email registration method into your Magento store, let them to quickly login or signup with their mobile number. Magento Mobile Login extension by MageComp allows your customers to sign up or log in easily using their mobile number with a secure OTP layer. Why choose MageComp’s Magento Mobile Login extension: •	Users can sign up and login by mobile number using OTP •	Consumers can ajax log in with email or Mobile •	Integrated with MSG91 gateway for sending login and registration message. •	Two different option to send a transactional as well as promotional message. •	A choice to send SMS in English or regional language. •	Admin can define default Ajax or OTP login from backend •	Automatically adds country code by selecting county flag. •	Admin can set OTP length and type from backend as per need. •	Option to send email notifications with details every time when customers log in using a mobile number. 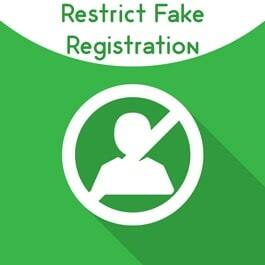 •	Admin can customize the text for registration, forget password and login OTP message as per need. •	Admin can see a list of registered mobile number list. •	Customers can change their mobile number at any time from their "My Account" Section. Is your Magento store is GST Ready? After 1st July, 2017 according to Indian Govt, it is necessary to implement GST on all online and offline stores. So if you are in hunt of integrating GST on your Online Magento store than, Magecomp has come up with Magento 2 Indian GST Extension which will help you simplify your work by automatically creating & calculating GST Tax rules and rates on Magento products & Services according to the Indian government standards. So what else needed if all the tax calculations are done automatically in Magento. 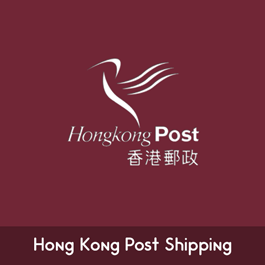 Magento Hong Kong Post Shipping Extension by Magecomp allows you to use Hong Kong Post Shipping API with Magento store. It provides a shipping calculator to enter a weight of product and country code, to fetch enabled shipping method for a specific country. Based on shipping methods enabled from the backend, the list of available methods is fetched and allows customers to choose any of available shipping methods for product check out. Many times, there may be a situation when store owners need to redirect their customers to some specific URL after specific events. 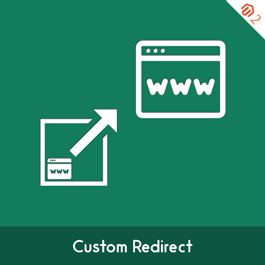 At that time, Magento 2 Custom Redirect extension by MageComp allows you to set custom URL to redirect your customers when they register, login, logout or add products to cart.it also works with different customer groups so that you can manage events and redirections in a better way. 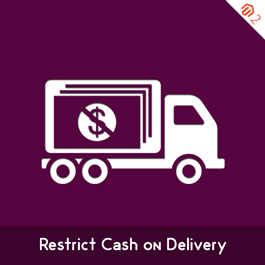 Sometimes store owners can't offer Cash on Delivery service to some geographical area due to two-way courier charges or tough cash handling or a realization of money which takes more time to reflect in our account.To solve this issue MageComp has come up with Magento 2 Restrict Cash On Delivery extension which allows users to check the availability of Cash on Delivery on their zip code. It also allows store owners to hide payment method for unavailability of zip codes. Magento 2 Email Cart extension by MageComp provides your customers to Email their cart to admin. This reduces time to understand the requirements of customers as admin can see all the options and quantities and other options already selected in Email. After getting requirements through cart, admin easily knows the requirement, craft products regardingly, discuss with customers. Now after negotiation, role of Email Cart Pro begins. 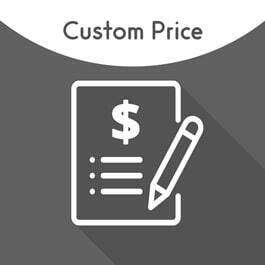 Admin create order from backend with required custom option, custom price, coupon code and prepare quote. After all the products being added, admin can click "Email Cart" button from backend to send quote to customers in Email. Customers can click to directly checkout the added products and thus the whole cycle gets completed.